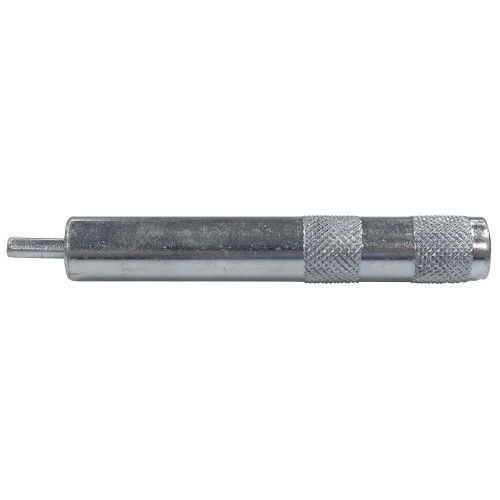 Setting tools are designed for installing, or setting, machine screw anchors in masonry. Capable of installing anchors in brick, concrete, or hollow block. Maximum allowable load for drywall (1/2") and plaster is based on a 2:1 safety factor using an average of ultimate tension & shear loads. Maximum allowable load for concrete (4,000 PSI), block (C-90), and brick is based on a 4:1 safety factor using an average of ultimate tension & shear loads. #6 #8 #10 1/2" 1/4" 3/8" 5/16"